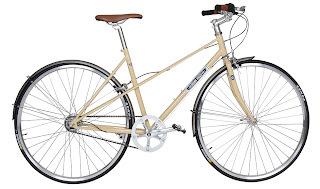 The Brown Jersey Mixte comes fitted with either the STURMEY ARCHER 8-speed (PARIS) or 3-speed (MILAN) internal gear hub and is complimented by the handlebar integrated grip shifting system. 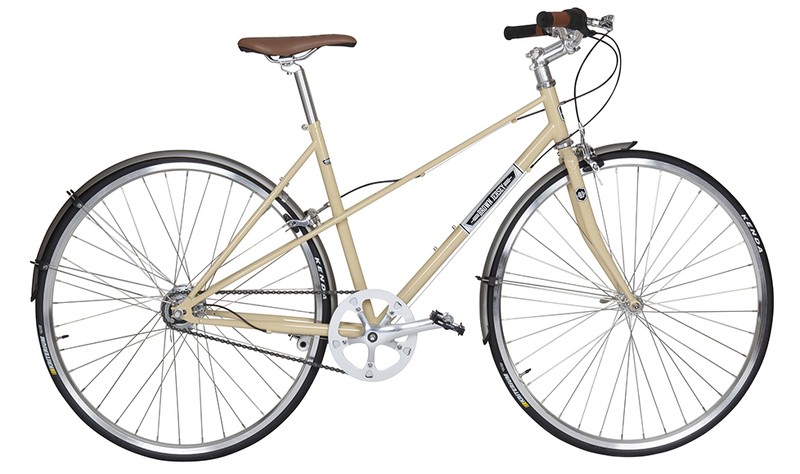 The PARIS 8-Speed Mixte is available in either Creme or Navy Blue. 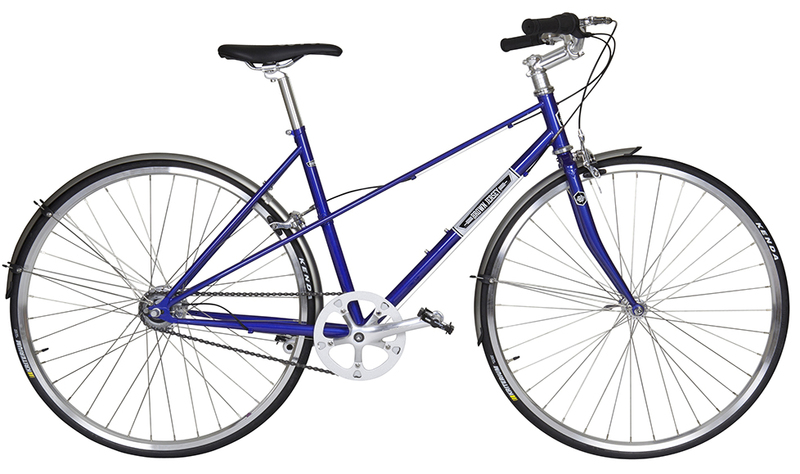 The high quality CrMo steel frame comes with lugged joints and a sloping crown lugged touring fork. 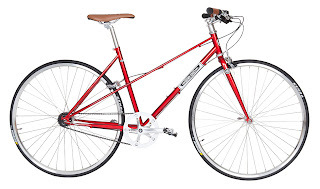 You will have no problem making it up that steep hill or catching up with friends on geared bikes as the eight gears are logically positioned with a wide 325% gear ratio. The PARIS comes with full length fenders and a high rise swallow style handlebar which results in a comfortable riding position with plenty of room for a wicker basket. Frame sizes include small, medium and large. 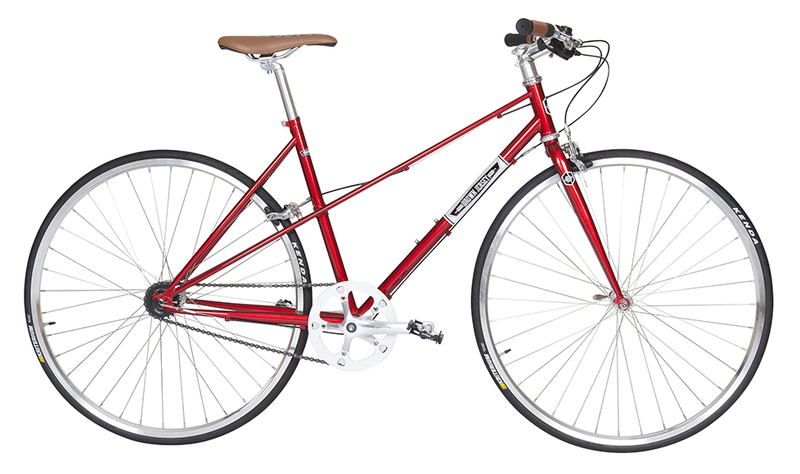 The MILAN 3 Speed Mixte is available in either Red or Green. 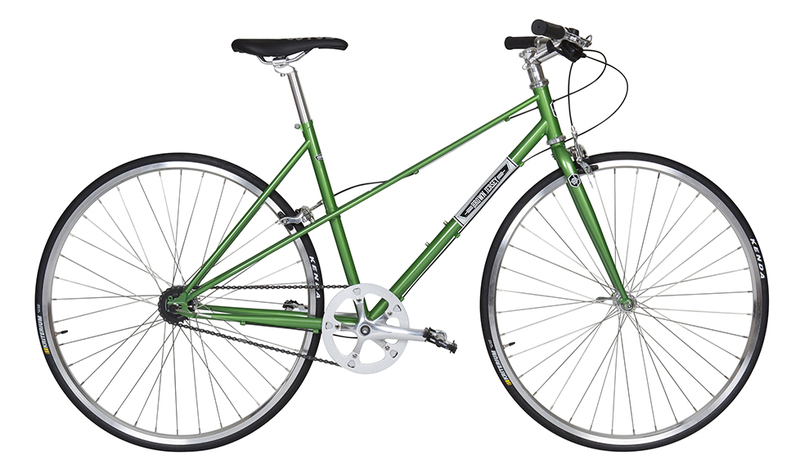 Built around a high quality CrMo steel frame with lugged joints and a unicrown straight blade fork. The Sturmey Archer 3-speed hub was patented more than 100 years ago and the Sturmey Archer SRF3 hub fitted on the MILAN profits from that unrivalled experience. The retro styled flat curved handle bar also has plenty of room for a wicker basket. Frame sizes include small, medium and large. 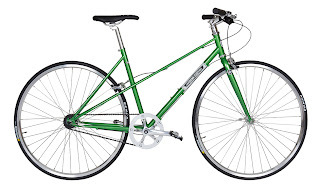 Both the PARIS and MILAN are great bikes for a comfortable ride to the local shops or cafes, and a longer ride with friends exploring your city or local area. Any queries please contact us. Last year the author from Single Speed Gold Coast Blog contacted Brown Jersey wanting to conduct a review on a bike from the Brown Jersey bike range. He chose the Brown Jersey Divvy Van to review. 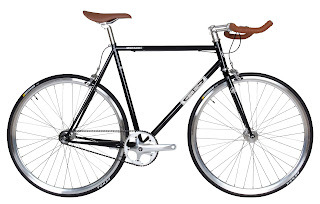 The Brown Jersey Divvy Van is our top of the line FIXIE. 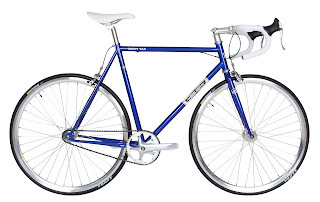 Finished in navy metallic with white bar tape and euro style racing saddle. 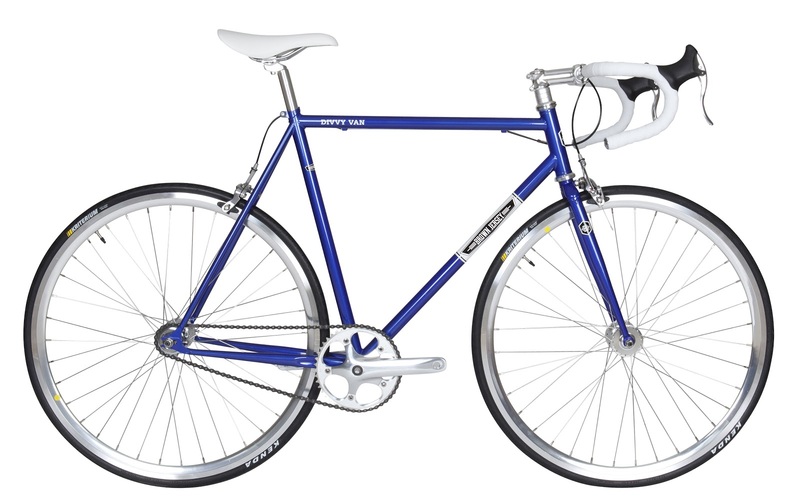 The Divvy Van takes it's frame geometry directly from track racing. The quality of the frame is in the detail and is available in five frame sizes. So we sent one up to Queensland and here is the Brown Jersey Divvy Van Review from the Single Speed Gold Coast Blog author.